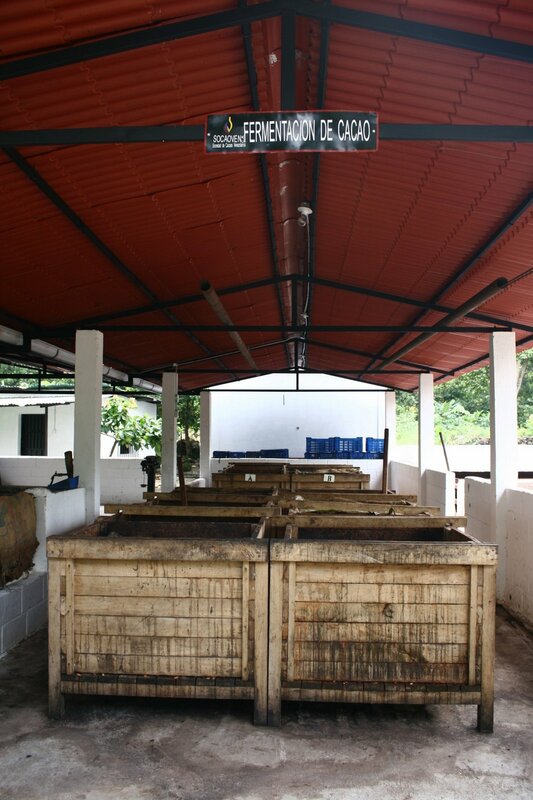 Fermentacion de cacao | WHY DO WE LOVE CHOCOLATE? It’s amazing how many differenty types of fermentation designs there are – from a pile of beans wrapped in banana leaves to cascaded boxes in a covered room. It makes you wonder if these methods evolved locally according to what was best for that bean variety or if there is one “best” way. I think the most critical thing is to bring the pods in from the fields as soon as possible and fermentation. The rest is just tradition and it’s better to get a little tradition in the chocolate than something made in a controlled factory… any day.